I am State Government Employee working for the past 30 years in Dharmapuri, when my daughter after getting employment in IT firm, wanted to purchase a flat in Chennai, I didn’t have any reliable person in Chennai to help me, propertychennai came to my rescue and helped me in assessing the deviations in the flat, valuation, built up area calculation and also with generalized report on the quality of construction which made me deciding in the purchase of flat, Now we are happy as that we are made a right choice on the contrary some of my other friends, who have purchased flats are now worried about the deviations, excess area charged, leakage problems, etc.. I have found Property Chennai to be excellent in managing my property. They are the best I have ever worked with- they are always professional and friendly. The communication is prompt, attention to detail is very impressive and any issues were resolved quickly keeping both the tenant & landlord happy and well informed. I would highly recommend Property Chennai team to anybody looking for a professional and accountable property management experience. We have used Property Chennai for the past year and are very happy with them. They are friendly, flexible and approachable – we find this very useful since we stay abroad. 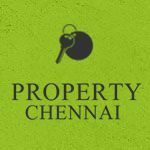 Property Chennai are prompt and transparent in their dealings – I have no hesitation in recommending to my friends and family.